In this two-part series, Dr. Kathy Knutson introduces readers to microorganisms, their sources, concerns and their importance. I have been studying microorganisms for over 35 years, and the elusive critters still fascinate me! Here in Microbiology 101, I write about the foundation of knowledge on which all microbiologists build. You may have a general interest in microbiology or have concerns in your operation. By understanding microbiology, you understand the diversity of microorganisms, their source, control of microorganisms and their importance. The term microbiology covers every living being we cannot see with the naked eye. The smallest microbe is a virus. Next in size are the bacteria, then yeast and mold cells, and the largest microbes are the protozoans. The tiny structure of a virus may be important in the plant pathology of cannabis, but will not grow in concentrates or infused products. A virus is not living, until it storms the gate of a living cell and overtakes the functions within the cell. Viruses are the number one cause of foodborne illness, with the number one virus called Norovirus. Think stomach flu. Think illness on cruise ships. Viruses are a food service problem and can be prevented by requiring employees to report sickness, have good personal hygiene including good hand washing, and, as appropriate, wear gloves. Following Good Manufacturing Practices (GMPs) is critical in preventing the transfer of viruses to a product where the consumer can be infected. The largest microbial cell is the protozoan. They are of concern in natural water sources, but like viruses, will not grow in cannabis products. 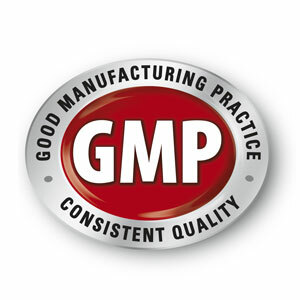 Control water quality through GMPs, and you control protozoans. Viruses and protozoans will not be further discussed here. Bacteria, yeast and mold are the focus of further discussion. As a food microbiologist, my typical application of this information is in the manufacturing of food. Because Microbiology 101 is a general article on microbiology, you can apply the information to growing, harvesting, drying, manufacture of infused products and dispensing. It is not possible to have sterile products. Even the canning process of high temperature for an extended time allows the survival of resistant bacterial spores. Astronauts take dehydrated food into space, and soldiers receive MREs; both still contain microbes. Sterility is never the goal. So, what is normal? 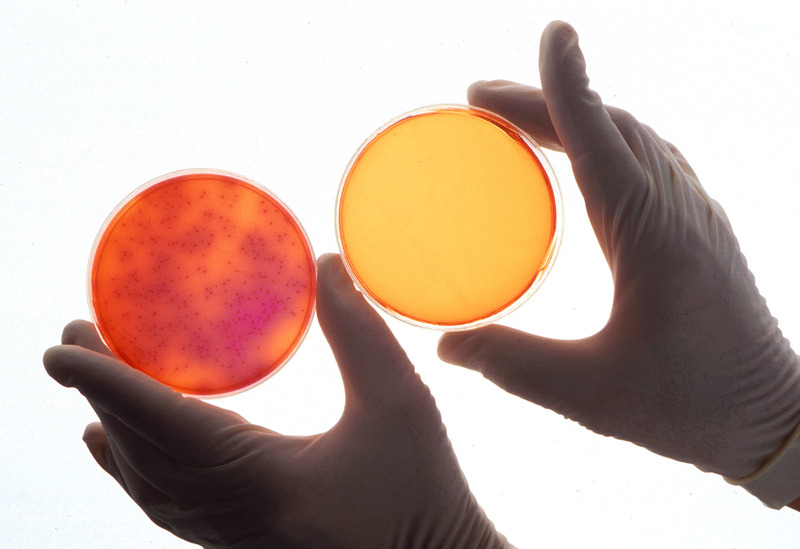 Even with the highest standards, it is normal to have microbes in your products. Your goal is to eliminate illness-causing microorganisms, i.e. pathogens. Along the way, you will decrease spoilage microbes too, making a product with higher quality. Petri dish containing the fungus Aspergillus flavus. It produces carcinogenic aflatoxins, which can contaminate foods and cause an invasive fungal disease. Yeast and mold were discussed on CIJ in a previous article, Total Yeast & Mold Count: What Cultivators & Business Owners Need to Know. Fuzzy mold seen on the top of food left in the refrigerator too long is a quality issue, not a safety issue. Mold growth is a problem on damaged cannabis plants or cuttings and may produce mycotoxin, a toxic chemical hazard. Following Good Agricultural Practices (GAPs) will control mold growth. Once the plant is properly dried, mold will not grow and produce toxin. Proper growing, handling and drying prevents mycotoxins. Like mold, growth of yeast is a quality issue, not a safety issue. As yeast grow, they produce acid, alcohol and carbon dioxide gas. While these fermentation products are unwanted, they are not injurious. I am aware that some states require cannabis-infused products to be alcohol-free, but that is not a safety issue discussed here. What are the sources of microorganisms? People. Employees who harvest cannabis may transfer microorganisms to the plant. Later, employees may be the source of microbes at the steps of trimming, drying, transfer or portioning, extract processing, infused product manufacture and packaging. Environment. Starting with the outdoors, microbes come from wind, soil, pests, bird droppings and water. When plants are harvested outdoors or indoors, microbes come from the tools and bins. Maintain clean growing and harvesting tools in good working condition to minimize contamination with microbes. For any processing, microbes come from air currents, use of water, and all surfaces in the processing environment from dripping overhead pipes to floor drains and everything in between. In Part 2 I will continue to discuss the diversity of microorganisms, and future articles will cover Hazard Analysis and Critical Control Points (HACCP) and food safety in more detail. What concerns do you have at each step of operations? Are you confident in your employees and their handling of the product? As each state works to ensure public health, cannabis-infused products will receive the same, if not more, scrutiny as non-cannabis food and beverages. With an understanding and control of pathogens, you can focus on providing your customers with your highest quality product. Dr. Kathy Knutson works nationwide with food manufacturers on recall investigations, problem-solving, training and Food and Drug Administration (FDA) compliance. After being trained in 2016 as a Lead Instructor with the FDA-recognized curriculum for Preventive Controls Qualified Individuals, she delivered over 20 workshops to industry. With over 35 years in microbiology and 15 years of full-time teaching, Dr. Knutson is passionate about training and is an effective communicator at all levels in an organization. She has taught and consulted with companies on laboratory methods, interpretation of lab results, quality assurance, sanitation, environmental monitoring plans, Standard Operating Procedures, Good Manufacturing Practices, Hazard Analysis and Critical Control Points (HACCP) and the FDA’s Food Safety Modernization Act. As a life-long learner, Dr. Knutson is trained in prevention of intentional adulteration, a topic on the horizon for the food industry. Dr. Knutson is a contributing author at CannabisIndustryJournal.com. Dr. Knutson writes a food safety blog and contributes expert services to manufacturers through ConnectFood.com, an online site for writing HACCP and food safety plans. When Dr. Knutson is not traveling, she works from home in Green Bay, Wisconsin, where she lives with her husband, two sons, and an adorable Bernedoodle.